I now come to the saddest and most poignant examples of Corruption in this book – the conduct of the Ombudsman of Samoa. Following my attempted arrest on false charges, which I was fortunately able to deal with constructively after receiving some assistance from a senior politician who could see what was really happening, I laid a complaint with the Police Standards Unit. My complaint to the PSU was buried as was my complaint to the Ombudsman. Two years and almost fifty phone calls, emails and meetings later with the Ombudsman’s Office, I approached the Attorney General and raised my concerns. His advice was to meet with the Ombudsman personally and just sit down and discuss the matters. In this letter the Ombudsman of Samoa admits that his office did not conduct an investigation into my complaint, instead arranged a meeting with the Police (whom again was the very people I was complaining about!) and then refused to meet with me when his own office dropped the ball. His Office “[took] a step which is not our standard practice”. Not only was an investigation not even started, two years after the event it is then twisted around presented as something good, constructive and helpful – too bad for dozens of attempts to get the Ombudsman’s office to actually DO an investigation. It is my opinion that a Palagi in Samoa can never expect a level playing field, and that the Ombudsman is no different to the majority of Samoans – resistant to criticism from ‘outsiders’. This form of Corruption, which is at its core is simply racism, runs rampant in Samoa. We may joke about the “Palagi price” where a local price will accidentally double when a white man arrives but when it runs through to the top of the very organisation entrusted with ensuring due process, there is a very serious problem. The Ombudsman’s office ran a competition to develop a new logo. I entered a design and they acknowledged receipt of the entry. Then nothing. No notice or further communications. No thanks, just, “Palagi go home!” You get used to it here – just racism again! An Australian Human Rights lawyer spent a couple of years on a voluntary programme establishing the Human Rights programme under the auspices of the Ombudsman’s office. She was an intelligent experienced lawyer and I chatted to her in her first month or two of working here. I saw a person passionate believer in her cause. I predicted serious difficulties for her establishing anything that resembled her ideals. She completed her time up here and while I didn’t confirm this, I’m certain that she would have gone away highly disillusioned with the whole process. The reason is that the Ombudsman and his office, as with all Samoan bureaucrats, are primarily interested in keeping the status quo, ticking the boxes on United Nations conditionalities but their heart is in a totally different place from that presented to the public. While I am fully aware that the Ombudsman is well respected in the Samoan community, there is another side to the man, something Samoans as a rule resist accepting. It is that when an outsider dares to complain, or find fault that would bring shame on the country, there is an ungodly corruption that occurs in defence and so-called good people, ‘sprout horns’. It’s a repeating story – one that a Palagi knows all too well, but one that is ignored, defended and deliberately hidden. 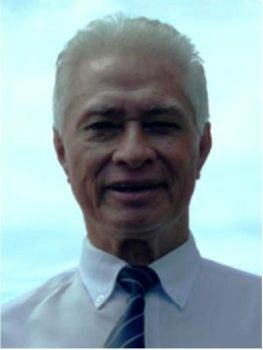 Racism, as exemplified by the man charged with enforcing human rights2 within Samoa is the ‘elephant in the room’, and is very much alive and well in Paradise. To generate creative ideas, you have to start from an unusual place. But to explain those ideas, you have to connect them to something familiar. That’s why so many startups are introducing themselves as the Uber for X.